Here’s a closer look at Zoya’s brand new Whispers Collection available online at www.zoya.com $9/ bottle. This season Zoya has been super busy releasing 4 new collections Focus & Flair a brighter and richer set of jewel toned nail lacquers, 6 new Matte Velvet nail lacquers spanning the color wheel from matte shades of red, green, blue, purple, beige and white and their most recent color story called “Whispers”, comprised of 6 creamy, soft dusty pastels. So it appears we’ll be shifting nail looks towards a softer side this winter season. Don’t get me wrong, usually my winter go-2 is some sort of red, but it’s refreshing to have some softer options too. The positive about this collection is it features dusty pastels & they’re all opaque after the 1st or 2nd coat. I really had no complaints over all. So, if you’re in the market for a few new shades here’s a closer look at the collection. 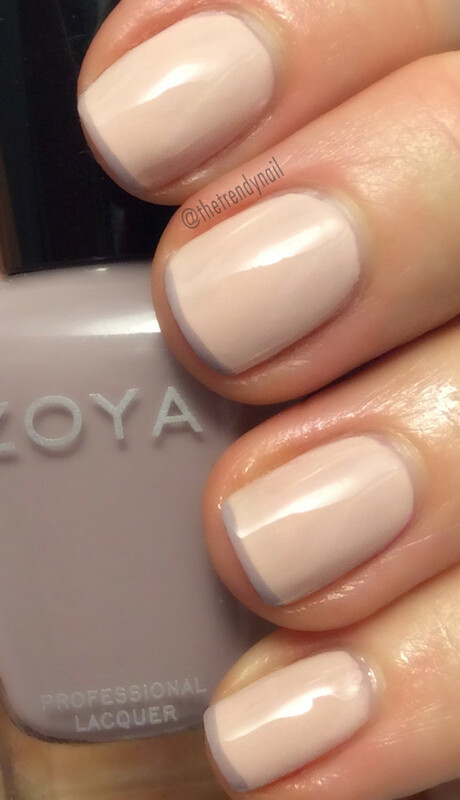 Zoya April – a warm soft blush neutral, very pretty and applied evenly. Here’s an option if you’re looking for a soft colored french. I applied Eastyn over April using a thin striping brush. Zoya Eastyn – A soft, dusty gray purple. I absolutely adore this shade. It’s a really easy to wear color ’cause of it’s subtle muted tone. A great shade for paler skin tones and shorter nails. 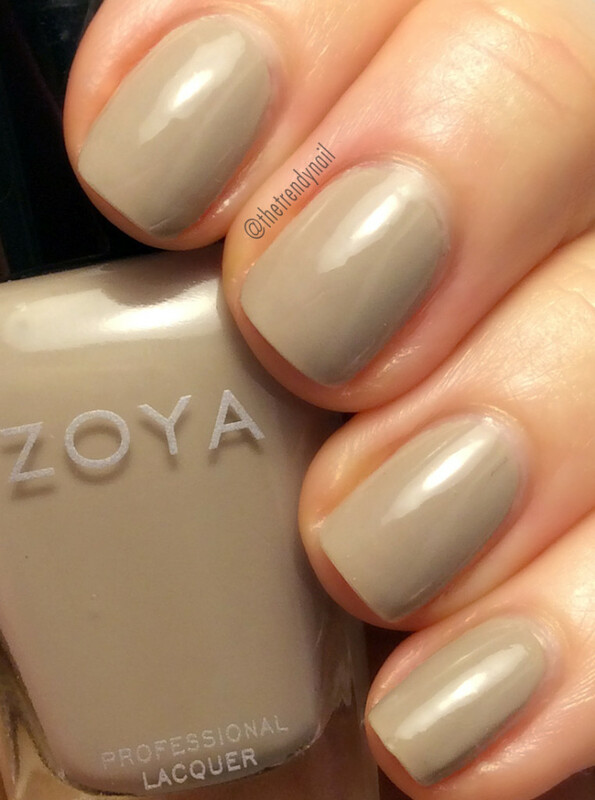 Zoya Misty – a creamy taupe with a touch of green. It almost has the appearance of a creamy putty. Not my favorite shade for people with fare skin but it’s definitely a good everyday neutral and if you have an olive or darker skin this color will look great. Zoya Lake – Best described as a creamy opaque, dusty pastel blue with a touch of grey. By the appearance of the bottle I thought this shade would be a clean soft blue, which may or may not appeal to you. But on the contrary it’s a really nice soft dusty gray/blue. A perfect neutral that easily blends easily with most daily outfits. I would definitely recommend Zoya Lake for those of you with a fair skin tone too. A great winter shade! Wear it with a shiny top coat or for a more muted look try a matte top coat. Either way.. i’m loving this color! PS… if you apply it generously, you can most definitely get away with 1 coat. In my pic below i’m wearing 2 coats. 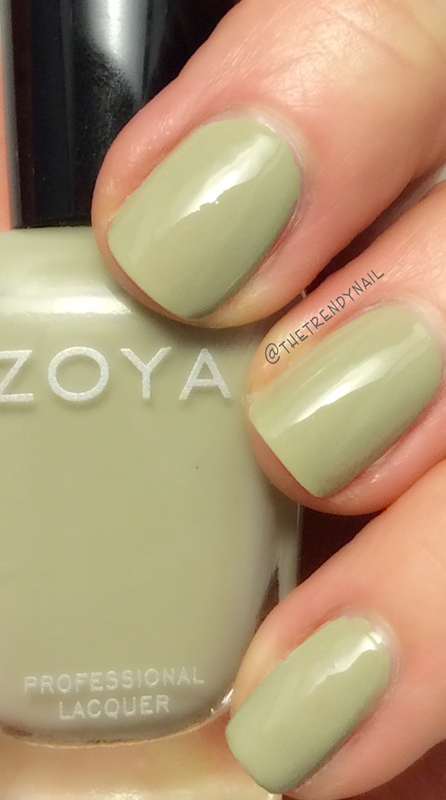 Zoya Ireland – A dusty pale, pea green. Lovers of shades of green will love this creamy polish. Opaque and easy to apply. Shown below with 2 coats. 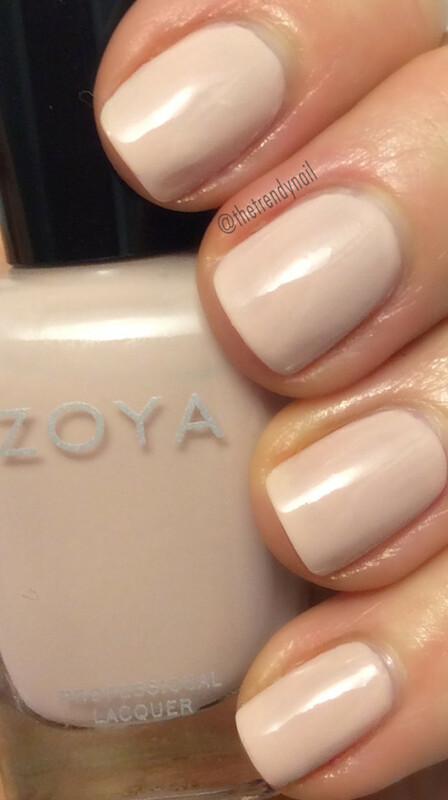 Zoya Cala – A soft, creamy neutral beige, leaning more toward the yellow side of beige. Out of the entire collection my favorites are Eastyn, Lake and April. A great alternative if your looking to add some color to your nails this winter without going bold. I’d love to hear from you…. 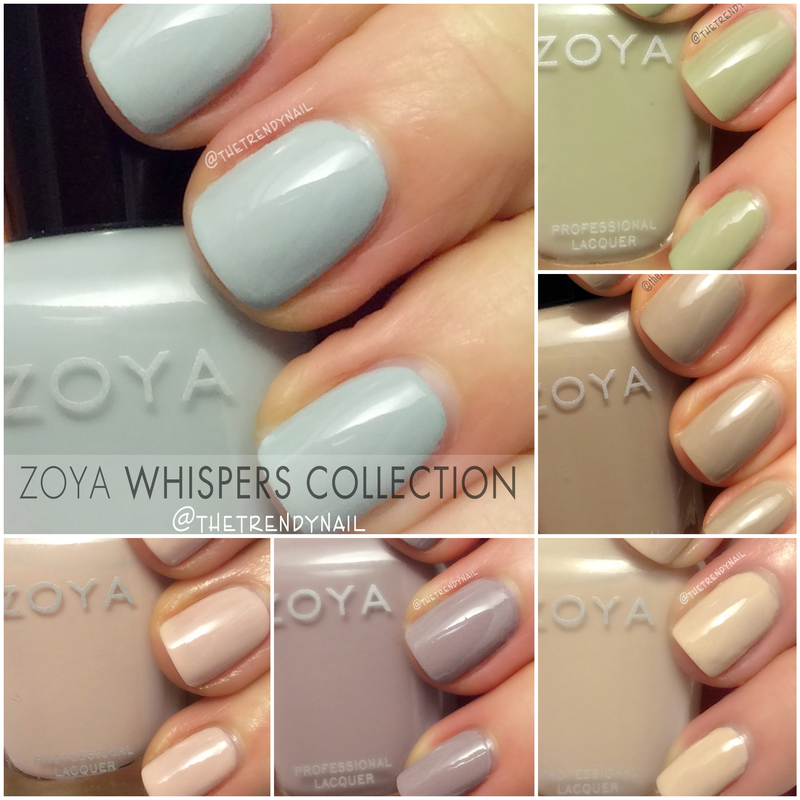 which is your favorite Zoya Whispers shade? Leave a message in the comment box below! Disclosure: The products mentioned in this post was provided by the manufacturer. All of the opinions are 100% my own and are in no way influenced by anyone. Affiliate links appear in this post. When you purchase through an affiliate link, you help support this site. For more info view my Disclosure Policy. Previous: Previous post: Nail News: First Ever Essie Nail Art Contest!